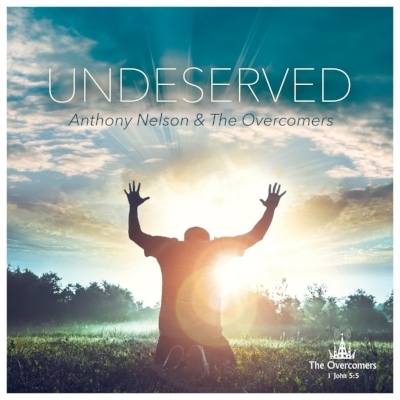 Anthony Nelson & The Overcomers is an American contemporary Gospel group from the Baton Rouge, Louisiana metropolitan area, where they blend blues, folk, R&B, Zydeco and soul together to make their own brand of cross-cultural songs of praise and worship. The Overcomers Worship team have quickly made waves in the Gospel Music industry and garnered national and international attention with their smooth and soulful ballads and songs of praise, skillful lead vocals, rich vocal harmonies and acutely proficient musicianship. This popular gospel ensemble, whose body of work includes # 1 Billboard Gospel hit song Deeper (Gospel Digital Song Sales), #5 Billboard Gospel hit song Jealous (Gospel Digital Song Sales), Top 10 Billboard Gospel hit songs Everything (Gospel Digital Song Sales) and Undeserved (Gospel Digital Song Sales), and Top 25 Billboard Gospel hit song Joy (Gospel Digital Song Sales), was founded by songwriter, worship leader, multi-instrument musician, composer and producer Anthony J. Nelson. Anthony comes from strong gospel roots that consist of his late grandmother Mrs. Elizabeth Brown and his late mother Mrs. Joyce Brown Nelson, both noted gospel vocalists and choir leaders. Nelson is also a noted author, blogger for The Huffington Post, and founder of independent Christian music label New Heavens & New Earth Music LLC.